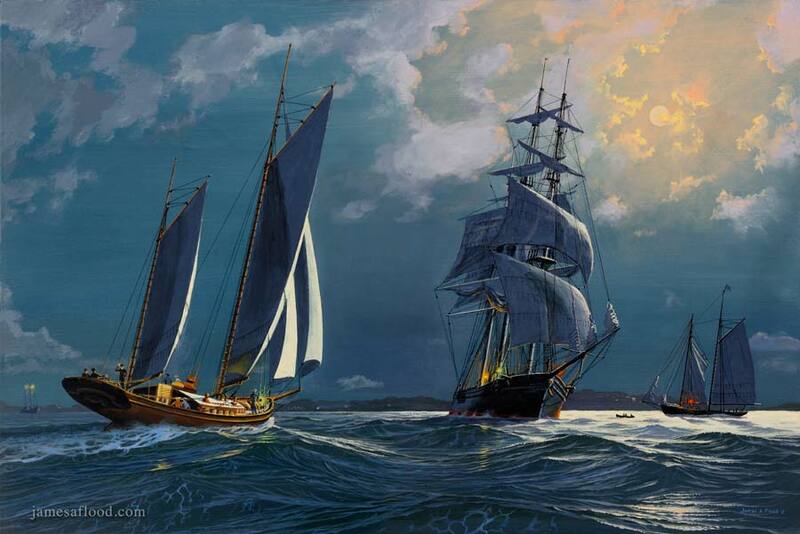 Moonlight presides in this painting depicting merchant activities off the coast of Newport, Rhode Island, late in the nineteenth century. Just beyond the small boat dim lights of various Newport mansions can be seen twinkling along the shoreline. Off to the left, marking the location of the Brenton Reef, shine the two bright lights of the Brenton Reef Lightship.